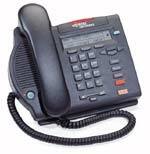 The Nortel Avaya 3904 telephone is a multi-line phone that offers maximum flexibility. The 3904 phone is the perfect option for busy executives, managers, and administrators. Use with your Nortel PBX system. The Nortel Avaya 3903 telephone is a multi-line phone that includes keys that label themselves. The 3903 phone is the ideal choice for office professionals and technical specialists. Utilize with your Option 11C Nortel PBX. 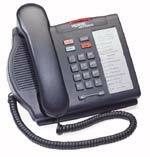 The Nortel Avaya 3902 telephone is a single-line basic phone with display-based interface and hands free capability. The 3902 phone is designed for limited use with your Nortel Option PBX platform - 11C, 51C, 61C, 81C. 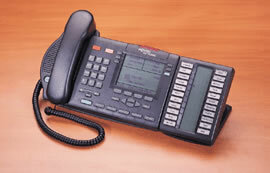 The Nortel Avaya 3901 telephone is a single-line entry-level phone suitable for limited use. The 3901 phone is the economical digital solution and is the right choice for areas such as lobbies, cafeterias and hallways. The Nortel Avaya 3905 telephone is designed for the call center environment. The 3905 phone can enhance the productivity while satisfying the specialized needs of agents and supervisors with your Nortel Option 11C. Nortel Avaya 3900 Key-based Expansion Module provides 22 keys for any combination of lines and features. The M3904 and M3905 each support up to two expansion modules, for a total of 44 additional keys. Use with your Nortel M1 Option 11C PBX system. These Nortel Avaya 3900 snap-in cartridge style accessories connect to the rear of the M3900 Series telephone via the Accessory Connection Module, and the Expansion Modules connect to the 3904 and 3905 through a 10-pin connection port. Combined, these accessories provide the services and features available in each 3900 phone snap-in accessory.